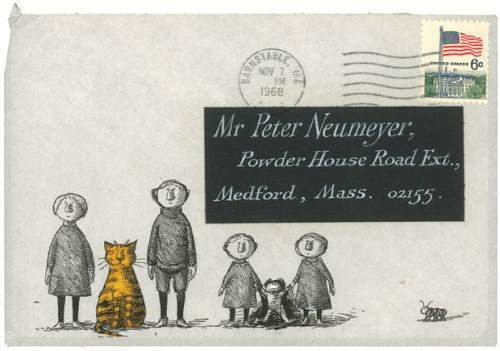 Between September 1968 and October 1969, Edward Gorey (February 22, 1925 – April 15, 2000) collaborated on three children’s books with writer and teacher Peter F. Neumeyer – Why We Have Day and Night, Donald and the… and Donald Has a Difficulty. 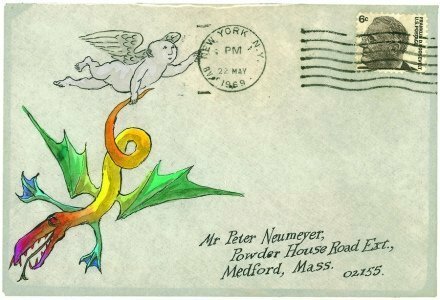 On their first encounter, Neumeyer managed to dislocate Gorey’s shoulder when he grabbed his arm to keep him from falling into the ocean. 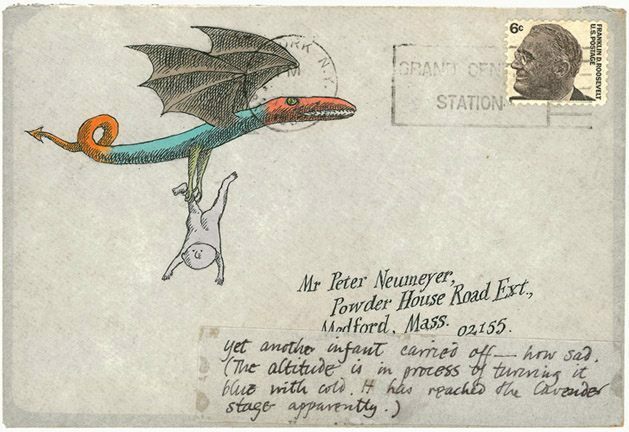 In a hospital waiting room, they pored over Gorey’s drawings for the first time together, and Gorey infused the situation with much hilarity. 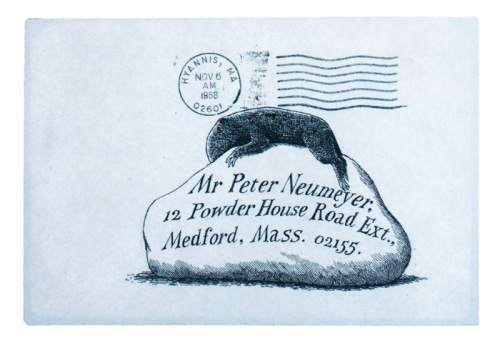 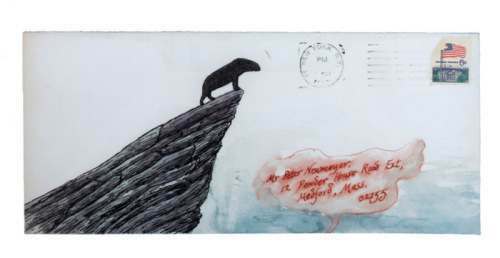 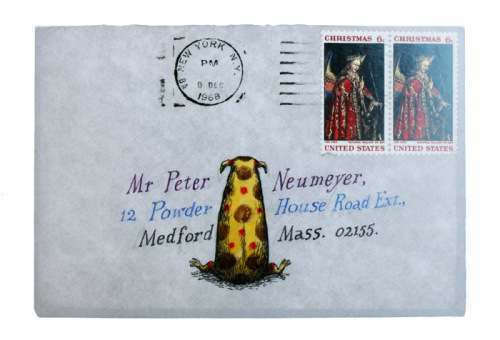 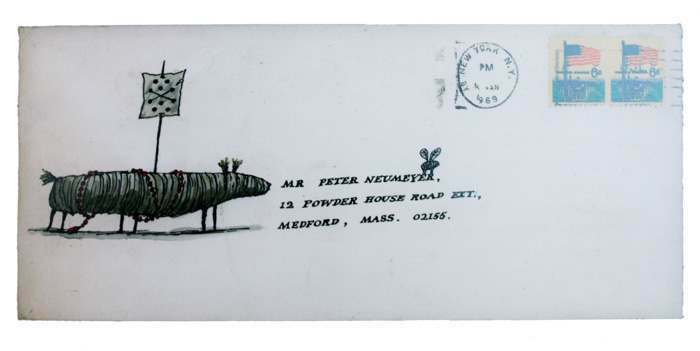 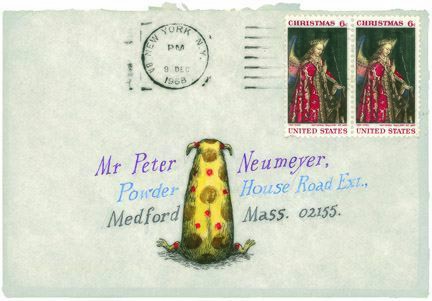 Gorey and Neumeyer exchanged scores of postcards and letters, often wrapped in illustrated envelopes. 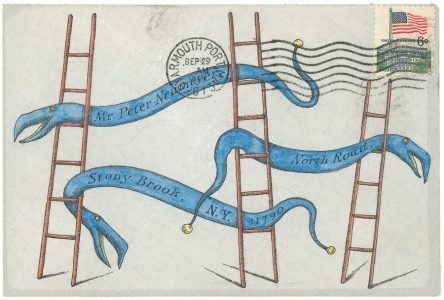 That Gorey worked on his witty illustrations alone adds to the missives’ potency. 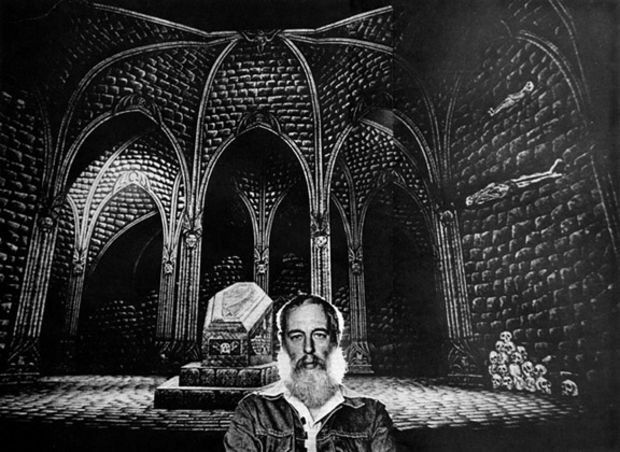 Gorey is the author and artist who began his alphabet book for children “A is for Amy who fell down the stairs” (read on in The Gashlycrumb Tinies). 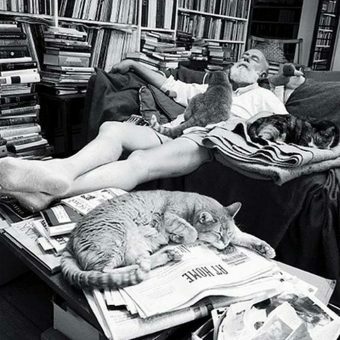 His letters are legend. 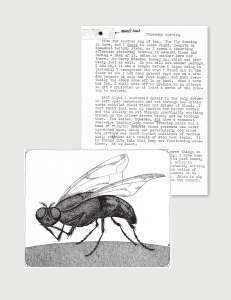 Floating Worlds is available through Pomegranate. 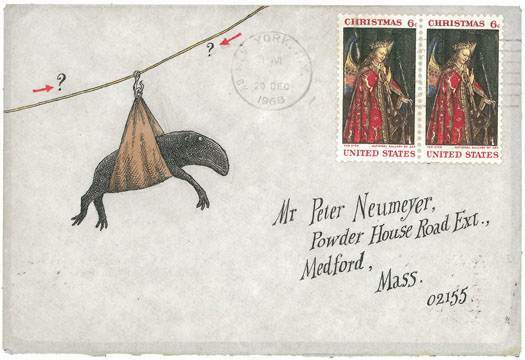 Via: PrintMag, The Atlantic. 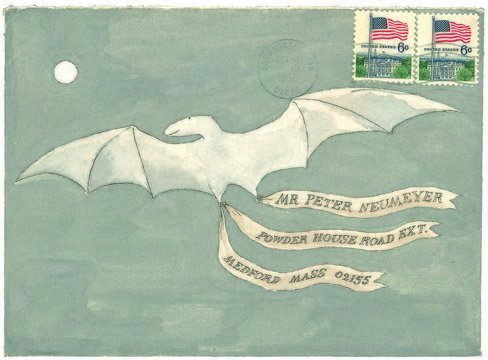 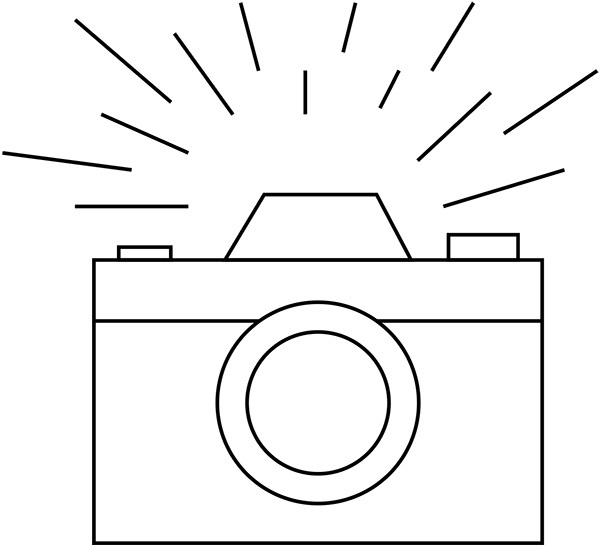 Read on in Floating Worlds: The Letters of Edward Gorey and Peter F. Neumeyer .